Florence is now a major Category 3 hurricane. It is currently in the Atlantic and poses no threat to land in the coming days. 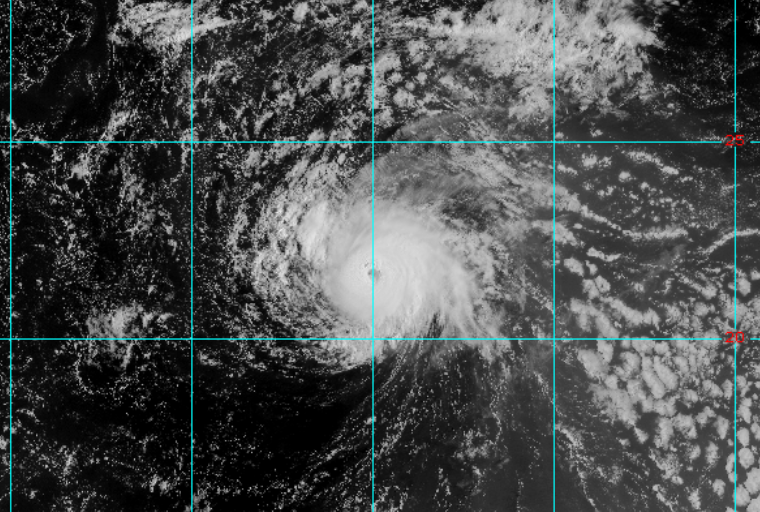 Satellite imagery shows Florence has maximum sustained winds of 125 mph. While some weakening is possible over the coming days, Florence is expected to remain a strong hurricane. 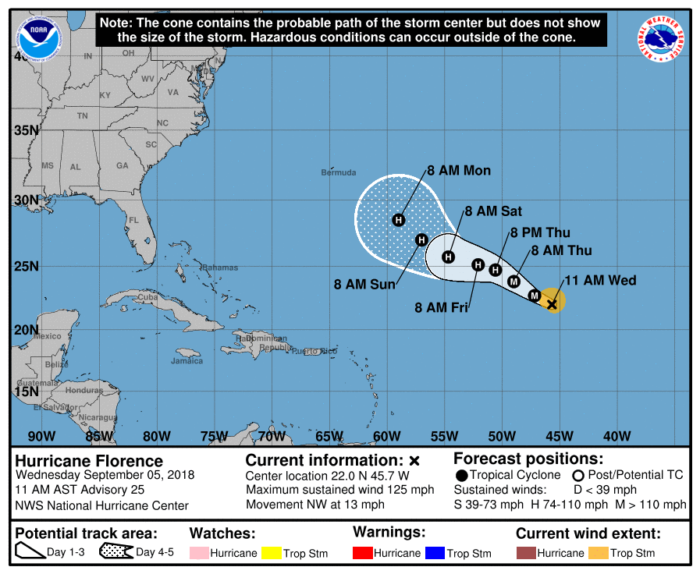 As of now, Florence does not pose any risks to the U.S., but we will continue to monitor its movement through this weekend.